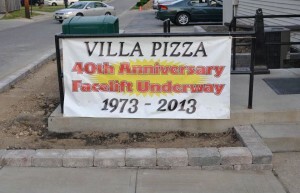 In 1973 Villa Pizza opened its doors in Johnstown, Ohio. It was the perfect new place to pick up a six-pack of cold pop to go with a fresh Belt Buster Sub or traditional large pepperoni pizza. The new pizza was a perfect meal to enjoy while watching one of the many television shows of the day. The Waltons were a hit as well as M.A.S.H. 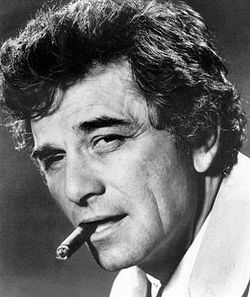 and Columbo. The Odd Couple or the Partridge Family were always fun, and most everyone enjoyed Bob Barker’s Price is Right. If you wanted to grab a bite before heading off to the movies, Villa had a few tables during the first few years when parking was not quite the issue as today. Perhaps that year you were some of the brave who saw the Exorcists or Deliverance. The James Bond movie Live or Let Die was a hit as was the Sting. Everyone loved American Graffiti, and Jesus Christ Superstar surprised many. Most local teens will recall hanging out in the parking lot or cruising the square listening to the great bands like Aerosmith that debuted that summer or Elton John’s new hit Crocodile Rock. 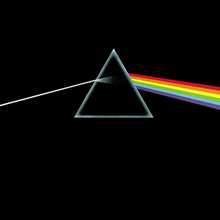 The Rolling Stones had Angie and Pink Floyd’s Dark Side of the Moon was a hit over night. Nineteen seventy-three was quite a year. In January Richard Nixon started his second term as President, and the Supreme Court’s decision on Roe vs. Wade made abortions legal in the United States. The Paris Peace Accord brought an end to the Vietnam War and by February prisoners started returning home. In March the last soldier left Vietnam. Watergate was in the news daily as political shenanigans were being uncovered. The first hand held cell phone was used by a guy named Martin Cooper in New York City on April 3rd and on the 4th the World Trade Center opened in that city with a traditional ribbon cutting ceremony. The Sears Tower in Chicago opened in May as the tallest building in the world. (Not outdone until 1998) Also in May the famed horse Secretariat won the Kentucky Derby starting her path to be the first Triple Crown winner in 25 years. Skylab, the first space station was sent into orbit on May 11th and eleven days later Skylab II was sent up to repair it. In July the D.E.A. was formed to combat illegal Drugs and the National Archives fire at Saint Louis destroyed thousands of WWI soldier’s records. In September Mrs. Billy Jean King defeated Bobbie Riggs in the tennis match known as the battle of the sexes. Watergate news continued and the Endangered Species Act went into effect in December to end the year. The average income in 1973 was $12,900.00 and the cost of a gallon of gas was 40 cents, five cents less than a dozen eggs. The average new house cost $32,500.00 but inflation that years soared to 6.16% as OPEC reduced oil distribution causing gas to soar 200%. A Large Peperoni Pizza at the new Villa Pizza in Johnstown that summer was $2.95 and a small eleven-inch was $1.95.